Treva, my writing partner, and I hooked up after I came back from a year in Europe (more of this later). In fact, over Christmas vacation we’d gone to Julius Monk’s new revue room (a boite, yes) to see a show called Take Five, which featured comic Ronny Graham, remembered from New Faces of ’52. And there was another Bart Howard ballad, Perfect Stranger. Treva and I were enchanted, dazzled. God, we thought, if we could only get a piece of our material into one of these shows, what a coup that would be! How hip would we be then?! We agonized and compared notes: which pieces would we select to present? We decided to go down to 51st street, talk to Mr. Monk and make an appointment to show him our numbers. We presented ourselves at the club one September evening and found Julius readily approachable. In fact, he played intermission piano at the spinet upstairs. As we came in the door, I recognized what he was playing, Rodgers & Hart’s Quiet Night. Portia Nelson sang it on my Goddard Lieberson recording of On Your Toes. Oh, God please let him grant us an appointment.It felt as if we were seeking an audience with the Pope. We were only partially prepared for Julius’ rococo manner of speech. He was from Oxford, Mississippi, but seemed to believe he was from Oxford, England. We had heard some of his bizarre locutions: “Ladies and gentlemen,’ he would say, “Friars, Congregants and conceivably Elders. May ah direct yaw attention and applawse to our post-prandial prank, a prank for the shank, Take Fahve!” I waited till he was just getting up from the piano. “Mr Monk?” He turned towards me without a smile, but with eyebrows quizzically raised.He was attired in a navy pinstripe suit, very elegant. He was, we knew, currently modeling for Hathaway shirts. He sported a British Colonel’s mustache, graying, as was his hair. “Yes?” “I’m John Meyer and this is Treva Silverman. We’re writers, and we’ve written some numbers we’d like you to hear.” Now he smiled, displaying a set of uneven, yellowing teeth. “Well, how utterly charming, how positively Marie Antoinette of you.” I had no idea what he meant, but he was moving towards the head of the stairwell which led to the cellar. He stretched out his arm, inviting us to follow him. We did. It was a real basement. As I recall, the floor was stone, painted gray-blue. A platform had been set at one end, with a curtain drawn around it in a semi-circle. I could see the spinet behind the scrim, set down center. There were perhaps twenty half-dollar sized tables placed before the platform; people were drinking, smoking, chatting away. It was intermission. Mr. Monk led us to the side of the stage. He pulled the scrim aside, creating an opening. “Well, mes enfants, the stage is yours.” Treva and I stared at each other in horror. Could he mean…could he possibly mean…? “You mean…now?” “Pourquoi pas?” said Mr. Monk with a wide smile. It never occurred to either of us to do anything but follow his request. This was the chance we’d prayed for: you had to grab your opportunities when they appeared. Who knew when Mr. Monk would be receptive again? We were twenty-one, we didn’t know enough to say No. But…there were people out there, the audience, we could see them just beyond the gossamer scrim. Wouldn’t they hear us? Nonetheless, we spread our music sheets out on the piano, on top of the show’s score. I went first. I was so nervous that even now, I can hardly remember what I played. A couple of my Pheasant Under Glass songs, probably, like Chewgum Smith and Santa Claus is Welching This Year and a ballad, Carousel. I was careful to keep my voice low, away from the paying customers. This did NOT help my performance. In this manner, Julius gave us to understand that he didn’t want -couldn’t use- any of the songs he’d just heard. It has always been painful to me when my material is rejected, and my reaction to my humiliation is to scamper away immediately, to evade any sympathy and to stew in my own feelings of shame and disappointment. But I was with Treva. “Let’s go,” I whispered urgently. However, Mr. Monk was offering an invitation. “Would you enjoy staying and seeing our second act?” he queried. I didn’t wait for Treva (who would gladly have taken him up on it) to respond. “Thank you, Mr. Monk, some other time.’ I said, and headed for the stairwell. Once outside on Sixth Avenue, I was overcome by a mix of anger and shame: I’d been forced to perform at a disadvantage, and then judged not good enough! “Jesus, how could he put us on the spot like that–?” “In front of everybody!” Treva cried. “Did you see the performers, trying to listen–?” “Oh, God. Let’s get out of here. Let’s go to…Reubens.” Reuben’s, the great sandwich joint, was on East 58th street, a ten minute walk. I come from a line of Composer-Insulters, starting with my father, Herb, who harbored his own, thwarted composing ambitions. He grew up in an era when you sat around the piano after dinner singing, and he played a fair version of popular piano, which in those days -the 20’s and 30’s- meant songs from Broadway. In prep school (Exeter) he even wrote a melody that became the minor standard I’m Yours when Johnny Green stole it. One afternoon, at a cocktail party given by his parents, Herb was seated near Jerome Kern, the man who wrote Showboat, who was demonstrating a few of his tunes at the keyboard. Herb, possessed by God-Knows-What competitive impulse, said to this icon of show-music, “Doesn’t Russell Bennet do a lot of your harmonies?” Bennett was Kern’s orchestrator. Kern didn’t respond, simply left the piano. Pop would tell me this story, years later, and it must have had a profound effect because I repeated his behavior with Cole Porter. I’d been to see a Porter show, Silk Stockings (1954), at a matinee, and afterwards was leaving the theater with my pal Bobby Rosenblum, when, approaching Shubert alley, I saw Cole Porter, walking with a cane, shuffling his painful way towards the stage door. Jesus, Cole Porter! One of my idols. Since I’d discovered Rodgers & Hart at the age of thirteen, I’d been entranced by the world of show music -and Porter, of course, was probably the avatar of this universe. On an impulse, I approached the composer. “Mr. Porter,” I started. “I really enjoyed the show–” He actually placed his arm about my shoulder, perhaps to steady himself. “I’m happy you did, I worked very hard to make the songs appealing.” I adjusted my step to his, and then, dealing myself a hideously embarrassing memory for the rest of my life, I said to him, “But Mr. Porter…I wonder if you ever heard a Noel Coward song called Josephine.” In the show, Gretchen Wyler had sung a number about the Creole temptress who’d become Napoleon’s consort. It had closely approached the Coward number, in attitude and even some rhymes (‘chic’ and ‘Martinique’, for example). ” Porter stopped and looked at me. His face was impassive, a blank. “No,” he told me, “I never heard that song.” He smiled, almost paternally. He must have recognized that I was a misguided, brash kid simply trying to be provocative. “But Mister Coward and I,” he finished, “are very great friends.” With that, he vanished into the stage door. In 1968 I was asked to play piano at a benefit for Eugene McCarthy, the Democrat who was fronting the liberal platform. It was a cocktail reception, given at a ball room in the St. Regis hotel. Robert Ryan was there, lending his considerable weight and presence. He was in town with the show Mr. President. I had the worm’s eye view, from the piano. At the height of the party who should appear but Harold Rome, perhaps the most politically committed of songwriters (along with maybe Yip Harburg). Treva and I used to ridicule Rome, claiming he only had to write one-third of a song because he used repetition so much, i.e. WISH YOU WERE HERE, WISH YOU WERE HERE, WISH YOU WERE HERE and FANNY, FANNY FANNY -also from the show Fanny, I HAVE TO/IHAVETO/IHAVE TO TELL YOU. Well, in true Rome fashion, he’d written a campaign song for McCarthy, and I couldn’t wait to hear the repetitions begin. He took the stage and proceeded to declaim his paean to the candidate. It went like this: AROUSE, AROUSE FOR WE MUST JUSTIFY HIM/THE COUNTRY’S CALLING, WILL WE ANSWER? Well, I thought, he made two out of three. Arouse, arouse. He had bumped me from the piano and accompanied the actor Robert Loggia, who sang the lyric. An odd choice of performer, not a singer but an actor. It was a Godawful song. What they needed was a Jerry Herman-style, Hello Dolly rabble-rouser -and here was this grim, 30’s, Social Protest anthem that wasn’t going to galvanize anybody into anything. Anyway, thinking I’d have a story for Treva, I approached Rome afterwards. “Mr. Rome, it’s a great pleasure, I’m a songwriter myself, and I’ve always appreciated your technique of repeating a phrase -to kind of drive the point home. I wonder, though, if you’ve ever heard the story of the writer who was introduced to you and said, ‘Glad to meet you, Mister Rome, Mister Rome.” I was, of course, making this up, just to see how he’d react. Well, his reaction couldn’t have been more characteristic: first he said, “Ha ha.” Right after that he said, “Very funny, very funny.” And, though it’s anti-climactic, I must tell you what happened next -because it’s the truth. He proceeded to justify the concept of repetition (in lyrics) to me: “– I mean, see how important it’s always been,” he said. “Look at our folk music– I GAVE MY LOVE A CHERRY THAT HAD NO STONE/I GAVE MY LOVE A CHERRY THAT HAD NO STONE -and what about JIMMY CRACK CORN AND I DON’T CARE/JIMMY CRACK CORN AND I DON’T CARE…I left him humming his way out of the ballroom. Met a girl at a party. Dimly lit, but I could see she was gorgeous. Big eyes, a wide smile, a quietly feminine manner without a hint of flirtatiousness. She told me her name was Shari. Looked to be in her early twenties. I was maybe five years older, certainly louder and brasher than she, but I subdued myself, matching her attitude to speak with her. At the end of the evening, I asked her Would she go out with me the following Wednesday…and she said yes. She lived at 300 West End Avenue (I still remember). She showed me around a spacious, pre-war apartment. I was amazed to see two gold records on the wall of the hall, and, next to the dining room, a fully equipped recording studio. “Yes,” she told me off-handedly, “my father’s.” She seemed dismissive of this, as if it embarrassed her to talk of it. Riding down in the elevator, I saw she was of mixed-race, reminiscent of a young Dorothy Dandridge, yet even more exotic and appealing, in her demure way. We went to the Village to see a movie in a revival, Judgment at Nuremberg. Not what you’d call a Date Movie. It was sombre and meaningful in the most Significant, Stanley Kramer way. Made me hesitant to put my arm around her shoulder. We sat there in strained silence, watching the film. The elephant in the room was How to initiate physical contact? Afterwards, we got on the subway and came straight back to West End avenue. Conversation now seemed a little forced, her manner towards me had grown slightly reserved. I was abandoning any hope of a goodnight kiss. I saw her downstairs to her elevator. “Would you like to come up?” she said. “Maybe my father’s home.” She seemed more welcoming, now that she was within her own precincts. Maybe there was still hope for that kiss. We rode the elevator up, emerged into the foyer. Voices were coming from the living room. She took me by the hand, pulled me into the living room, which was dominated by an L-shaped couch. Sitting there with his wife, Julie, was Harry Belafonte. They were sitting with Marlon Brando. Brando rose. I saw he had a kid’s cap pistol in his hand. “Hi,” said Harry to the two of us. “Where’d you go?” “We went to the movies,” said Shari. “What’d you see?” “Judgment at Nuremberg.” This gave him pause. I felt an explanation was necessary. “It’s a revival,” I said, “we wanted to see it before it disappeared.” Introductions were made, I shook hands with the two men and made a slight bow to Mrs. Belafonte. I turned to Brando, whom I knew was appearing on TV the next night. I gestured to the cap pistol. “You getting ready for David Susskind?” I asked him. Brando didn’t smile, but he turned the pistol over in his hand.”I like to stay protected.” he said. I don’t remember much more, but it was an amazing capper to my date. And no, sadly, I never saw Shari again. I see by Wikipedia she’s having a nice career. I taught myself to play piano, hunt and peck style, like learning to type. I could hear sophisticated harmonies and my playing, though untutored, developed a kind of appealing sheen. I’d absorbed hundreds of tunes from composers like Harold Arlen and Vernon Duke, whose harmonic lexicon was irresistible. From time to time I’ll post some anecdotes about my musical adventures. I played and sang on a luxury train, the American-European Express. It ran from New York to Chicago every Wednesday and Saturday, an overnight hop. There was a Baldwin grand piano in the club car -plus a sound system, and as we glided out of the station at four pm, I’d play a cocktail set for an hour. I wore a tuxedo to add to the flavor, and the passengers would order a Champagne Kir and congratulate themselves on being affluent enough to afford this trip; it cost six hundred dollars, a hefty piece of change in 1980. My set finished at five-fifteen, as the crowd retired to their swank compartments to change for dinner in the elegant dining car. About quarter to five, a pair of young black guys swung through and slowed their momentum long enough to ask me a question: “You be here after dinner?” said the older one. “‘Cause we’ll be back, we’ll bring the horn, hang out and play a li’l with you.” “Oh I’ll be here,” I responded, “but as for playing, the management here is very particular about who they let make music in this car.” “Yeh, that’s all right, we’ll see you after dinner.” As they headed away I saw the younger one was dressed in shorts with white, knee-high socks. He looked no more than fifteen. Well, was I embarrassed. 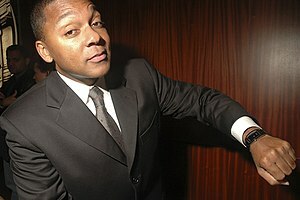 They came back after dinner for my ten o’clock set and the kid turned out to be…Wynton Marsalis! And yes, he brought his horn. “What you want to play?” he asked. I said, “D’you know Jeepers Creepers?” “Oh yeah -love that tune.” So I played an intro, and he jumped in after bar eight. Although it’s an up tune, I slowed it down a bit because his tone was so mellow I wanted to prolong his notes and bask in them. It was obvious (and he was just at the start of his career) this kid had something special. After Jeepers Creepers, I suggested (I Don’t Stand a) Ghost of a Chance With You, a ballad, because I was so entranced with his sound. He was unsure of the bridge: “Play that part again?” he asked me. He got up from the chair to my left and watched my fingers as I went through the progressions. “Yeah, all right, from the top.” We did the song once more and this time he got the melody. I was doing the vocals, to make a showpiece, a presentation out of the numbers. The crowd was increasing as word spread through the train that some extraordinary music was happening in the club car. People were jammed in, pressed against the walls, mesmerized. He played and played, and I joyously accompanied, something I’d become expert at doing, working with singers like Margaret Whiting and Judy Garland. Minutes later, it seemed, I glanced at my watch and it was one-forty-five in the morning. We’d been playing nearly four hours straight without a break. This guy didn’t want to do anything but make music, his passion simply poured out of his horn. One of the three times I’ve been in the presence of astonishing musical talent. The other two were Andre Previn…and Benny Goodman. TO BE CONTINUED. (and I’ll add a pic of the train in a few days) With thanks to my brother, Chris, for reminding me of this incident.